In 1998, I adopted my ﬁrst personal dog, a black Labrador Retriever, named Tucket. It was through Tucket — and my realization that we needed some assistance — that I found The Pawsitive Dog. What I didn’t realize in the 3 years that I was initially training was that this would become the initial building block of my new career. Tuckie truly was a faithful companion in every deﬁnition of the word; and I am honored that he chose me to spend his life with. In 2008 and 4 years into my new business and striving to improve the quality of care in the dog walking ﬁeld, I returned to training at The Pawsitive Dog. This was not only to brush up on Tucket’s obedience and manners, but also to better myself resulting in better care to my clients. It is, and always has been, imperative to me that I become as educated as possible while caring for your pets while out on a walk, playing in the park, or spending the night at The Tucket Inn. 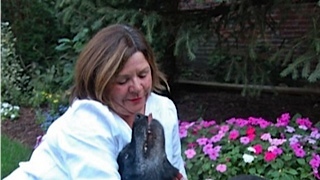 In 2011, Wauwinet (“Win”), another black Labrador Retriever, joined my household. 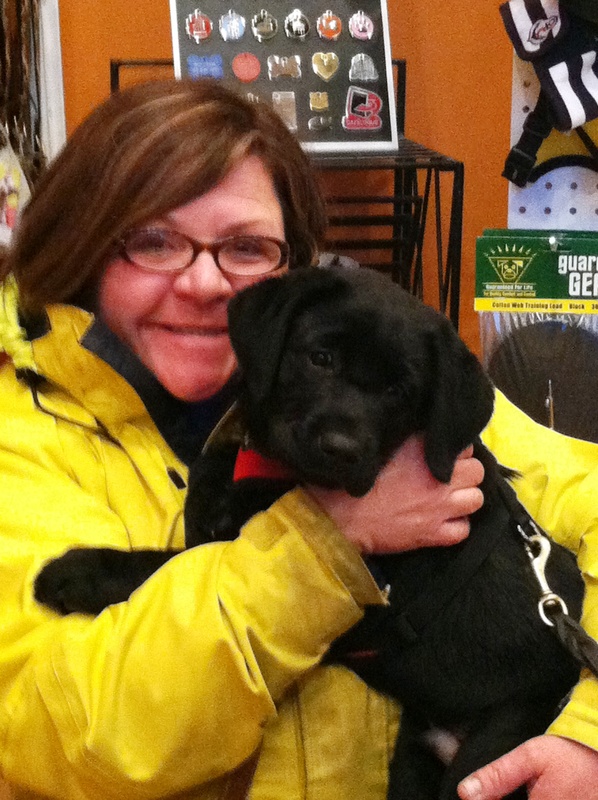 Having this bundle of joy is a wonderful refresher for me and has brought me “back to basics” in dog ownership. My oh my — I had forgotten how much energy and fun a puppy brings into the household. We have been on a bi-weekly training class schedule since he was 3 months old with the goal to compete nationally in obedience. As we say “Wauwinet is in it to win it”! In 2012 and in an effort to round out my training experience, I was honored and humbled to be invited to join The Pawsitive Dog team as an intern during the evenings — what a fabulous learning experience it has been. 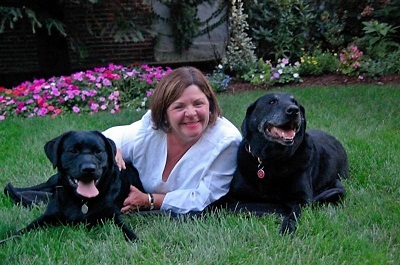 It has given me the opportunity to handle and observe dogs of all ages, breeds, and temperaments under the guidance and expertise of Jenifer Vickery, Head Trainer at The Pawsitive Dog, and more recently, Francis Holder and Scott Dunmore, as a guest trainers at The Pawsitive Dog. Not only does this internship perfect my handling skills, it also perfects my ability to “read” the dogs in my care. I look forward to continuing my internship through all four levels. 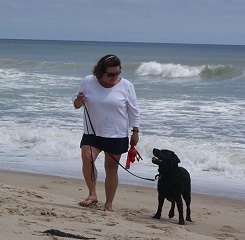 My ﬁrst love and ever faithful life­long companion, Tucket , was not only a true teammate, but also a fabulous “nanny” to new dogs in the Wanna Walk pack. Among his list of credentials, his most important title was the inspiration for Wanna Walk. It was through him that I truly developed my love for all things “dog” and began my quest to broaden my horizons, knowledge, and patience. 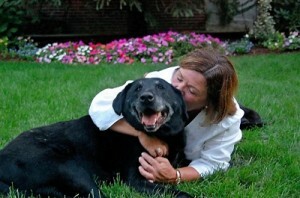 He was truly a companion in every deﬁnition of the word and lives on in the hearts of all who knew him. For a rescue, he certainly led a life few canines, if not humans, were able to live. I was proud to call him my dog, and am grateful every single day for the honor of being his teammate for 13 years. At 3 years of age, he has become a huge part of my life and teaches me, on a daily basis, to laugh at the little things, enjoy the beauty of the sunrise over the beach, breathe the wooded air on a weekend hike, or to smile at the joy on his face every time he sees me. In fact, Wauwinet is in such high demand with our clients, he needed his own email address! Feel free to contact him at Wauwinet@wanna-walk.com.